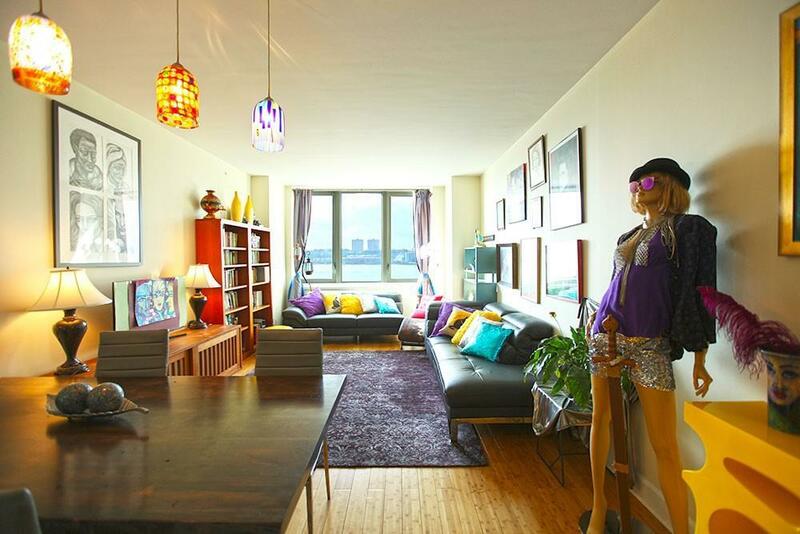 Majestic river views and an expansive and luxuriously tranquil living environment await you at apartment 9L. 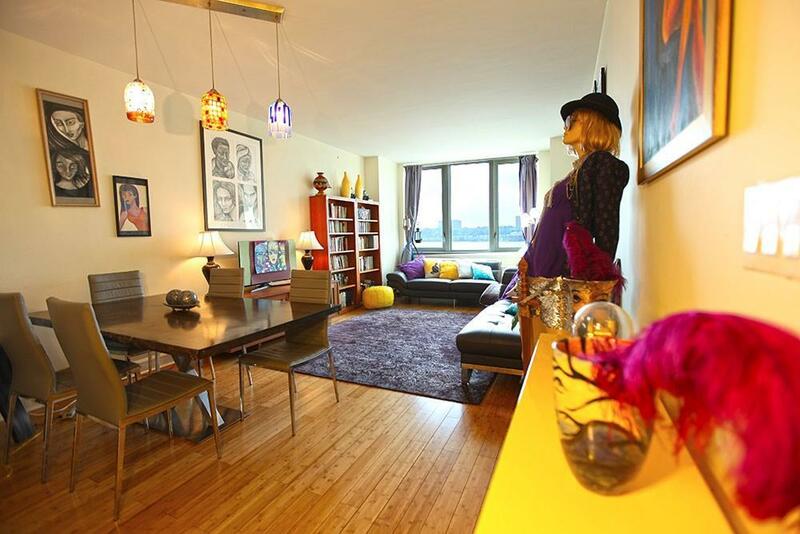 This most-sought after "L" line offers the largest two bedroom, two bathroom residence in the building. The building itself is the epitome of luxury and white-glove service, offering the most discerning buyer an improved quality of life unlike any other and offering the savviest of investors a top dollar return. 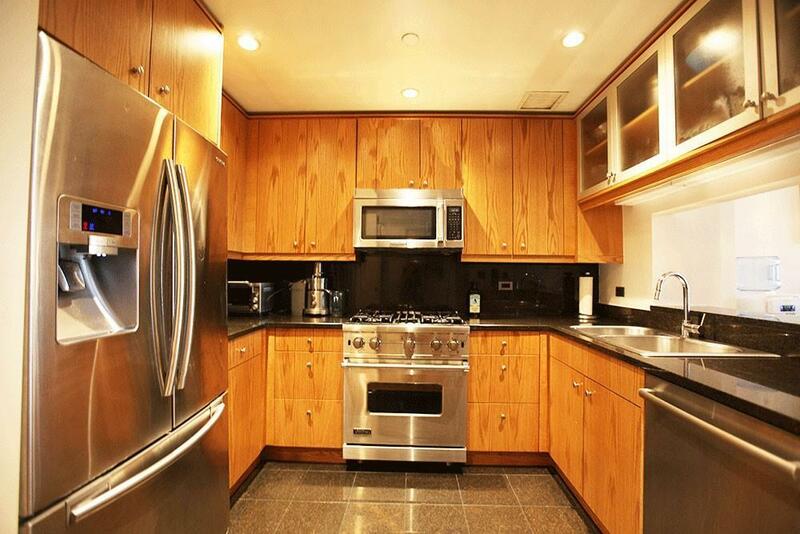 APARTMENT FEATURES: * State-of-the-art kitchen offering Bosch and Viking stainless steel appliances, marble countertops, beautiful custom cabinetry, breakfast bar and a passthrough window with views of the Hudson River - making it an ideal cooking area for even the most skilled and pickiest of chefs. * Large windows throughout the property offer peaceful river views enhancing the residence's excellent Feng Shui. * The sprawling living room, with its custom Bamboo flooring, is perfect for entertaining and enjoying valued time with family and friends as there is plenty of room for both a dinning table and traditional living room area. * Down the corridor, nestled in a deep and tall closet, you find the Speed Queen washer and dryer, considered the most durable home laundry equipment on the market. * The overwhelmingly large master bedroom offers enchanting river views and a serene sprawling space, that every night you'll be assured a peaceful and romantic rest. Moreover, with two enormous walk-in closets, you have more than enough room to aptly and neatly organize all of your clothing and personal items. However, should you need extra storage, the condo unit comes with its own private storage unit in the building! * The marble master bathroom is well-suited for such a majestic bedroom, as it offers two separate shower areas, a spaciously deep soaking-tub and roomy medicine cabinet. * The second bedroom, with its sprawling space, would easily be considered the master bedroom in any other two bedroom, two bathroom property, but as this is no ordinary residence, every corner and turn at apt. 9L is impressive. This second bedroom offers the same breathtakingly-beautiful river views, sprawling peaceful space, and custom bamboo flooring. The closet is massive offering ample height and depth. * The second bathroom also offers a marble bath and soaking-tub along with beautiful cabinets and plenty of storage area. BUILDING FEATURES: * Full-time doorman*Pets allowed* Concierge, valet and maid service* State-of-the-art 2,000 sq ft Fitness Center* Indoor 50-foot swimming pool* Spa service area offering a steam room, sauna and jacuzzi* Bike room* Children's playroom* Parking garage* Live-in super* Community recreation facility* Roof deck and sky loungeLOCATION: Offering both a tranquil and elite private setting, while being in one of the most vibrant and most sought-after areas of the city, you have the best of the best Manhattan has to offer. Conveniently located just three blocks from Lincoln Center, holding the world renowned Metropolitan Opera House and Lincoln Center Theater, you have at your finger tips (and on a daily basis) access to some of the best shows, performers and performances in the world. Additionally, Lincoln Square also offers some of the best culinary experiences in the world with internationally renowned restaurants like Lincoln Ristorante, The Leopard at Des Artistes, and Boulud Sud (only to name a few) all within a 2-5 block radius. The area is also peppered with an eclectic variety of supermarkets and a variety of other stores. Not to mention, Central Park is four blocks away and the 1 subway line is only two blocks away. 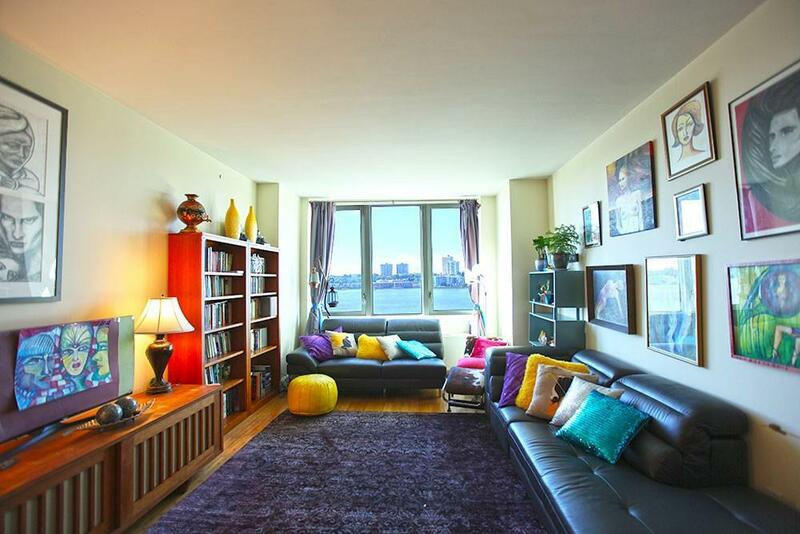 Listing courtesy of Jennifer Saavedra of Keller Williams Nyc.